Between October 2001 and November 2002, a drought befell New Jersey, my home state. The summer of 2002 was a big reading season for me, as we were unable to fill the backyard pool. I read Harry Potter for the first time, and so began my adolescent infatuation with all things fantasy, my bookshelves prominently featuring the spines of J.K. Rowling, Garth Nix, and Brian Jacques. Not coincidentally, around this time I wrote my first story. Shortly thereafter, I wrote my second, and my third. They were all simple, and as half-realized as you might expect the writing of a 10-year-old to be, but they were mine. I loved those stories of dragons and wizards that I scrawled out in spiral-bound notebooks. When I wrote them, in conjunction with devouring The Seventh Tower and Redwall, it occurred to me, for the first time, that I wanted to be a writer. For all of middle school, my consumption of YA fantasy kept up at a steady clip. It took me through all the landmarks of a young reader of my time: Artemis Fowl, Eragon, and even the earliest folly of an attempt at reading Lord of the Rings. By high school, though, I was exhausted. I did not want to read another book about magic, dragons, or grand adventure, and because this was the vast majority of the reading material available to me at the time, I stopped reading as a hobby. I became involved in other things, like high school theatre, the first awkward milestones of high school dating, and a burning desire to distance myself from all things that marked my prepubescent life. For the next few years, a drought of a different kind overtook my life: I no longer enjoyed reading. Reading slumps are exceedingly common, but mine was epic. For six years, I did not have any intense or thoughtful connection to anything I read, most of which was course material that I either skimmed or never finished. This changed when I first encountered Tom Bissell’s Magic Hours. 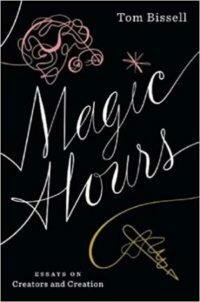 Like when you first meet a person who later indelibly changes your life, I remember the first moment I saw Magic Hours perfectly. It was at the Wexner Center bookstore in Columbus, Ohio. Spring break of sophomore year. I was there seeing an exhibit with my then-partner and her mom, and my knees hurt from walking. A brief respite in the bookstore allowed me to sit for a while, in a comfortable blue chair that happened to put me at eye level with this essay collection. In these essays, Bissell examines the creative processes of artists as disparate as Chuck Lorrie, Emily Dickinson, and Tommy Wiseau; he describes the minutia of media as different as video games, film shoots, and how-to-write books. His voice is sharp, direct, and unfailing in its commitment to small details. The collection contains “essays on creators and creation.” I did not know it at the time I first picked it up, but this was the exact sort of reading material I needed when I was 19 years old, partway through my sophomore year of getting a BFA in theatre. I needed perspective on what the hell exactly I and my peers were striving toward. And then, without my noticing, I suddenly loved to read again. Beyond actually reading most of my course materials in full, I found time to read for pleasure. Suddenly, the fantasy novels of my youth had soul again. I became deeply enamored of Paula Vogel, August Wilson, and Sam Shepard. I read David Sedaris for the first time, whose When You Are Engulfed in Flames and Me Talk Pretty One Day tore my soul into shreds through episodes of laughter and sobbing. Though I’ve still yet to do a full read of Lord of the Rings, I crawled my way into first attempts at other older, denser material, like the works of Dostoevsky and Virginia Woolf. This phase of my reading life was nothing short of revelatory. Although Bissell’s writing covers the exact subject matter I needed to read at the time, there was something beyond the power of his individual book at work. Ever since this first encounter with creative nonfiction, essay collections have continued to be reliable ways for me to break my reading slumps. A few years later, I had a similar experience with Michelle Orange’s This Is Running for Your Life. Like Bissell, Orange’s writing is concerned with media, but less with those who create it and more with those who consume it. She examines the ways in which images, celebrity culture, and popular psychology influence our interpersonal relationships, with a voice that expertly rides the line between critical and personal. 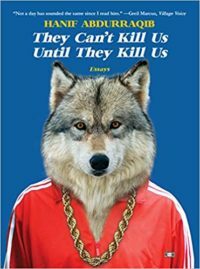 Finally, and most recently, I have fallen in love with They Can’t Kill Us Until They Kill Us. Hanif Abdurraqib writes with such singularity and precision that each of his essays is like a magic trick. I absorb his vivid, yet conversational descriptions of times and places, and within small spans, sometimes as short as only two or three pages, am transported by the insights—on race, on poverty, on drugs, on creativity, on loneliness—he draws from seemingly frivolous topics like metalcore bands, famous moments in basketball, and long drives through the Midwest to see hip-hop concerts. To read Abdurraqib’s writing is to learn new ways in which to see. I could write a thousand more words about the other essay collections that have saved my life as a reader and a writer. Joan Didion’s Slouching Towards Bethlehem. Roxane Gay’s Bad Feminist. James Baldwin’s The Fire Next Time. The list is long, and I endeavor to keep lengthening it so long as I read. To engage with an essay collection is to agree to listen to someone describe what they’ve seen, what they’ve thought, what they’ve felt. It is a genre of book that can surprise you with its depth and diversity, and allow you permission to see the world in different ways, often when you need it most. 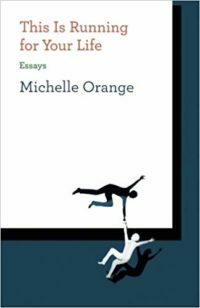 What Essay Collection Should You Read Next? 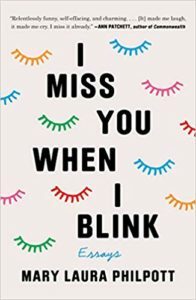 This essay collection quiz is sponsored by I Miss You When I Blink by Mary Laura Philpott. In this memoir-in-essays full of spot-on observations about home, work, and creative life, acclaimed essayist Mary Laura Philpott takes on the conflicting pressures of modern adulthood with wit and heart. She offers up her own stories to show that identity crises don’t happen just once or only at midlife; reassures us that small, recurring personal re-inventions are both normal and necessary; and advises that if you’re going to faint, you should get low to the ground first. Most of all, Philpott shows that when you stop feeling satisfied with your life, you don’t have to burn it all down and set off on a transcontinental hike (unless you want to, of course). You can call upon your many selves to figure out who you are, who you’re not, and where you belong. Who among us isn’t trying to do that? Because essay collections can be so wide-ranging in content and form, it’s often hard to pick your next read. This quiz asks six very easy-to-answer and fun questions to guide you into your next read. Whether your interests are in high literary memoir or low-brow political satire, this quiz is sure to point you toward your next favorite essay collection.